If you’re a hunter, you’ve probably been through this. I went through this and many similar conversations for a solid decade. Logic. Pleading. Trickery. Well, trickery actually works, but when they find out what they really ate, it’s like taking 20 steps backwards. Even if they LIKED it. Don’t go that route. I don’t know what finally clicked in my wife, but one day, out of the blue, she told me: “I want you to start cooking one meal every week with venison, and I promise I will do my best to eat it. Every week.”. Umm, who are you, and what did you do with my wife? After more than ten years, an appreciation of the time and energy I put into hunting finally overcame her revulsion of eating wild game. Plus, all that nutritional goodness of course. Venison Thursday was born! We’ve reached the point where we can eat venison on other days than Thursday. And we can eat more than venison when it comes to wild game. Wild game is becoming standard table fare for my family, and we eat better because of it. 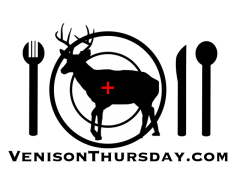 I’m sharing with you the methods, processing techniques, recipes, and general hunting knowledge I have to help you make your own venison and wild game meat converts. I can’t promise that any of these will work for instant conversion. There may be just some magic “10 year” timeframe that must pass to break down what popular society has ingrained in everyone. Either way, start now! The sooner you start, the sooner everyday can be Venison Thursday.